In a number of our recent blogs, we&apos;ve touched upon the importance of inspiring the next generation of engineers to consider a career in this dynamic and ever-growing field. Interestingly, the UK is home to a number of fantastic science, technology, and engineering museums, which are perfect for inspiring people to take an interest in these exciting sectors. 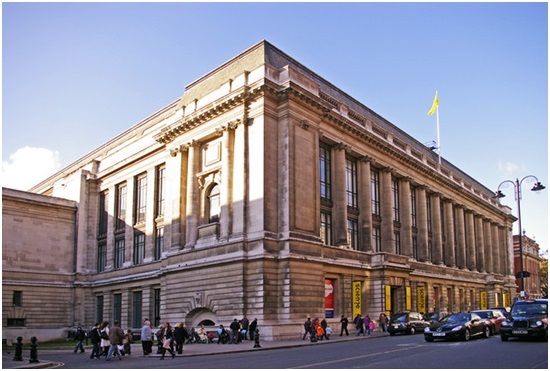 For example, the Science Museum in London is famed for its vast array of exhibits, and awe-inspiring collections. The museum even features a dedicated engineer collection – that tells the story of how advances in this field have changed our world. According to the latest report from Engineering and Technology Magazine , the Science Museum in London has also just launched an exciting new exhibition, designed to engage young people with engineering. The exhibition titled ‘Engineer Your Future’ was opened this week by His Royal Highness the Prince of Wales, and will reportedly bring engineering to life, through a series of interactive, engineering-inspired games and challenges, designed to engage visitors. The exhibition will feature a number of interactive exhibits, including an interesting feature that draws on research from the Royal Academy of Engineering into the way engineers think. This part of the exhibit will reportedly allow visitors to find out if they have the skills necessary to shape the world we live in, as one of the engineers of tomorrow. The exhibition will also enable visitors to discover some of the compelling stories of the engineers working in this important industry today. The article quotes the museum&apos;s director as stating:The aim of exhibition is to surprise, intrigue and tempt the vast numbers of young people who visit the Science Museum to think seriously about becoming engineers. The exhibition, which is free, is set to run for three years, so there’s plenty of time to pay it a visit and experience it for yourself. Here at European Springs, we appreciate the importance of encouraging more young people to take an interest in the engineering field, and are proud to be a part of this pivotal industry. We&apos;re suppliers of a fantastic range rage of high-quality spring products including torsion springs , which are utilised for a variety of applications within the engineering field. For more information please don&apos;t hesitate to contact us today on +44 (0) 208 663 1800.